Mission Guatemala : Latest News : Newsroom : Latest News : Celebrating our 7th anniversary! On September 1st, 2010, Mission Guatemala officially opened its doors with the simple goal of "doing all the good we can." Through the support of donors like you, our amazing staff, and the wonderful communities we work with, over the past seven years we've been able to help impact the lives of thousands of people in the San Andrés Semetebaj area. Throughout this month, we'll be looking back over the years and sharing more about the opportunities we've had to love and serve our neighbors in Guatemala. To follow along, check out our Facebook and Instagram pages! 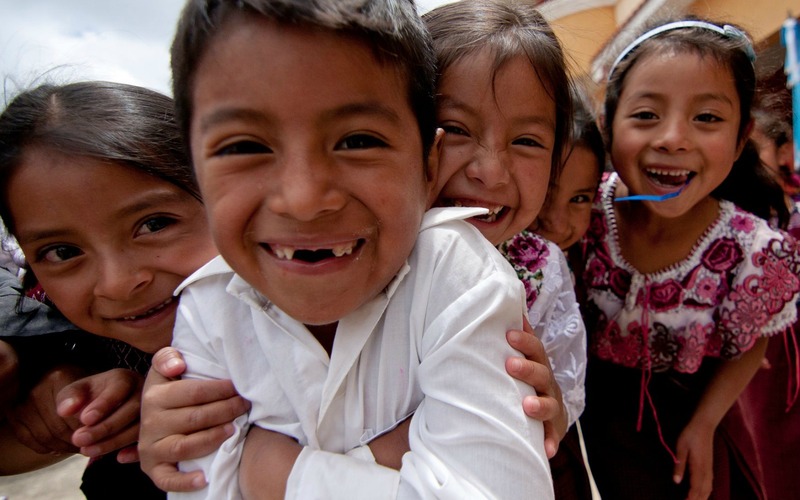 Mission Guatemala's work has only been possible thanks to the generosity and support of amazing people like you! In celebration of our 7th anniversary, and as our way of saying "thank you! ", when you make a donation this month of $70 or more, we will send you the gift of our special edition 7th anniversary Mission Guatemala t-shirt! We hope you'll wear it proudly as you help tell Mission Guatemala's story! And as always, a gift of any amount helps us to continue the work of loving and serving our neighbors in San Andrés Semetebaj and beyond! Please include your t-shirt size in the "comments" section of the online form, or the "notes" area of your check. Limit one t-shirt per donation. Some restrictions apply.